I had thought it was going to be a few days until I could put together my new header, but I did it shortly after I posted the giveaway for the My Memories Suite. It was very easy and fun! I look forward to make new ones in the future, maybe a new one with each season? I even ended up buying a couple new kits instead of just using the ones I could get free. I was super giddy that they accepted paypal, so it wasn’t a huge deal that I bought new stuff to add into my My Memories Suite collection. I bought a pack of words that used the word influence, I thought how super fitting for my blog! I also bought the heart that was in its own collection. I am super with giddy as well with the way my blog title came out! I find the more I play with the program the more I learn and the more I am love with it. 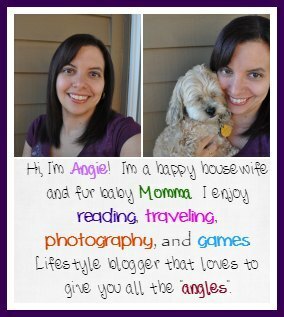 If you would like to make your own blog header, its super easy with My Memories Suite! To choose your own custom size, just create a new album and choose design your own. You can set the size by inches or pixels. In the Export Wizard, make sure that the image type is jpeg and the image size is the size you chose for your header and click finish. I ended up using 950×300 pixels for the size of my header. As well to start out I used a full landscape sheet so that I could shrink images to fit better. I was finding a hard time shrinking the images with the little size of 950×300 to work with. Full details on how to do this are on this pdf file – How to do your own custom header. Remember I have a giveaway going on to get your very own My Memories Suite digital software download, you really are going to love this program for so many wide uses. I also have a discount code to get your $10 off the software if you don’t win or don’t want to wait. Just use: STMMMS11858 at checkout. Giveaway details & rafflecopter form are here: My Memories Suite 3 digital software download. A Blog Hopping we shall go!